We will demonstrate how to use Screencast-O-Matic. 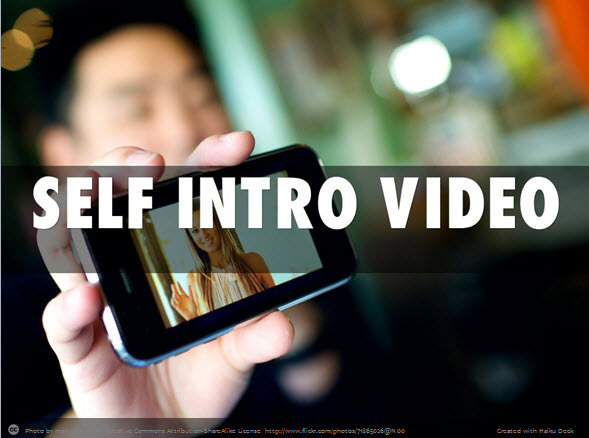 You will then produce a mini self-intro video and upload it to YouTube right during the session. To accomplish these goals you will what to complete the some tasks before the session. This Snapguide describes the pre-session steps you will want to take. They are also listed below. CREATE account(s) for YouTube (use your Google Account) and Screencast-O-Matic. These are the tools we will demonstrating.self-intro video. DRAFT a self intro script, This link will take you to some guidelines. LOCATE 2 digital images that you will use for your introduction i.e. an image of yourself and one representing your college or discipline.